Come and Get Your Free eBook! In 5 (ridiculously) easy steps you'll write your bio, brand description, or About Page. 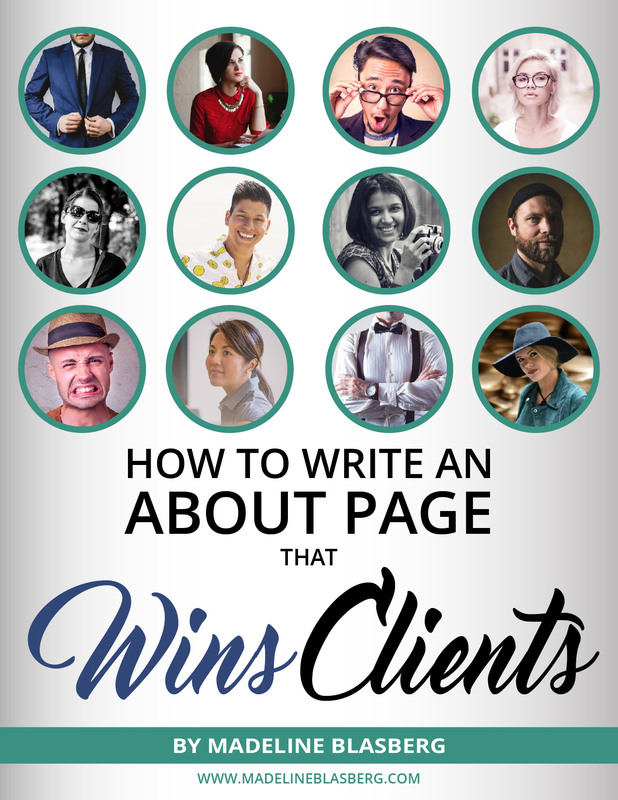 Stop whining and start winning clients, because my proven tricks will help you get the job done in a single afternoon. I promise! Tell me where to send your eBook by filling out the form below and I'll send you the link to your downloadable PDF!